The promise – and problem – of systems thinking. As a former biology teacher, I understand that life is an “interconnected web.” Why, I taught my students about the food chain and the water cycle and the exchange of oxygen and carbon dioxide. Of course, I understood even at the time that these were simplistic and incomplete models. What I didn’t recognize was that I was trying to teach complexity with the wrong tool. The primary tool we use as educators is analysis (read more in my previous post “Is our educational system teaching us to objectify the world“). But, like a beam of light in a darkened room, analysis can only reveal a few isolated elements at a time, while failing to show us the big picture. Like a beam of light in a darkened room, analysis can only reveal a few isolated elements at a time, while failing to show us the big picture. 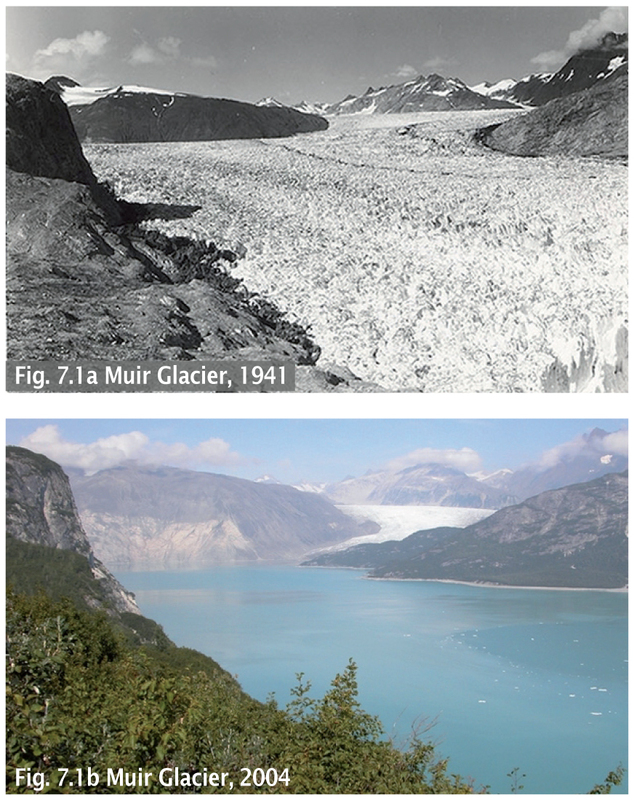 The vanishing of the Muir Glacier, Glacier Bay National Park, Alaska. The need to understand the big picture of systems dynamics is great. Healthy systems can be made unhealthy, and problems made worse, when we blindly intervene in a system without understanding the greater impact. Numerous examples of unintended consequences describe this. Arguably, every problem we face is an example of a system out of balance. Effective solutions can only be found by understanding and responding to the dynamics of the system. Systems thinking becomes essential if we are to create a healthy, sustainable world (Meadows, 2002; Ackoff, 2004; Senge, 2014). Systems thinking refers to the habits, tools and concepts used to understand the interdependent structures of dynamic systems (The Waters Foundation). 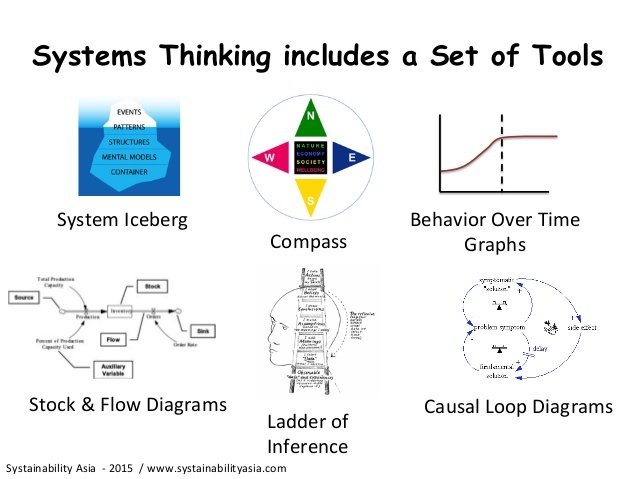 Systems thinking focuses on relationships and interactions between components of a system. To expand on the apples and oranges example of my previous post, systems thinking takes what we learn through analysis and zooms us out into the bigger picture. Depending on the focus of our inquiry, we move from the apple to the tree, the climate, the weather conditions, the soil, the water, pests and pesticides, farmers and consumers, human health and environmental health. The dynamic system becomes immediately apparent, and the tools and concepts of systems thinking reveal the “apple” as the product of a complex set of relationships. We come to recognize how changing those relationships will change the apple. 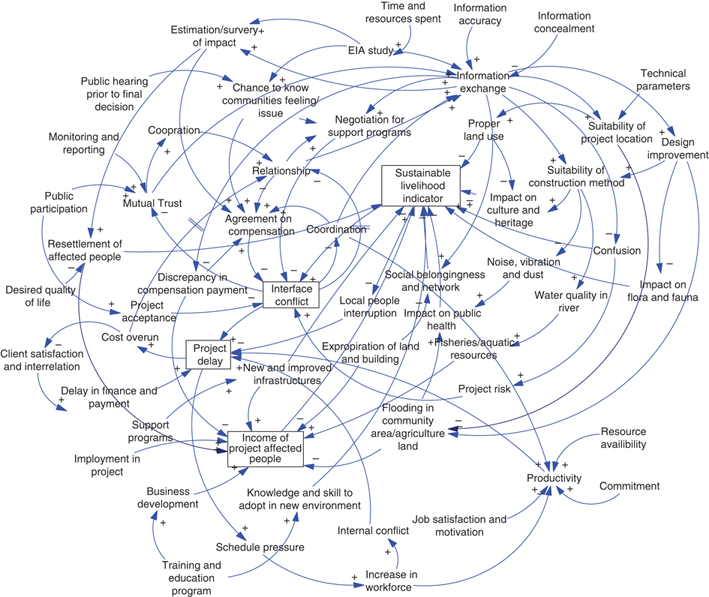 A Causal Loop Diagram – one of the tools of systems thinking. It’s easy to see the appeal of systems thinking. But, despite decades of attempts to bring it into the mainstream, it faces challenges in implementation. I believe this is in part because the “habits, tools and concepts” are themselves abstracted from direct experience. The causal loop diagram, shown above, is an example of one of the tools. They are an ANALYTICAL approach to a RELATIONAL question. Producing such a diagram is an important skill, and such models are very rich. However, they are not easy to understand and I believe they are blocking the adoption of teaching systems thinking. Another Way: Systems Thinking Through Direct Experience. While we might intuitively recognize the value of systems thinking, learning systems thinking is NOT intuitive. In fact, the process is still, well, analytical. It involves breaking the system down into smaller parts and putting it back together like a giant jigsaw puzzle. Alternatively, it involves reducing the systems to less complex models that can be more easily understood. Is there a way to directly experience a system, in the same way we can directly experience the taste of an apple? The answer is yes, and the clue lies in the “relationships and interactions” that define systems thinking. Previous PostIs our educational system teaching us to objectify the world? Next PostFrom Meaningless to Meaning-Full: How I Used Body-Centered Inquiry to Understand the Life of Sacagawea.